When the temperature dips, it’s tempting to dream about the fruits of summer. Strawberries and blueberries seem like distant memories, unless you open up a bottle of local beer. 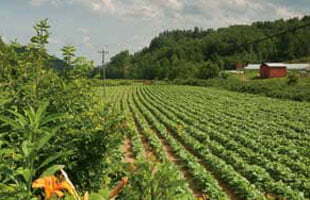 Many breweries in Western North Carolina rely on farmers to provide fresh summer fruits. Some of those beers take a year or more to age, so winter might be the ideal time to open a bottle. Todd Boera from Fonta Flora Brewery says beer made with summer fruit is like a time capsule. The flavors bring him back to the busiest time of the year. “When the fruit is in the peak of the season, we’re getting calls from the farmers and we’ll often go to the farm and pick it up, or the farm will have it delivered to us. It’s fresh and extremely perishable, so it’s a mad dash for all of us here,” he says. The brewers race the clock as they pit peaches and crush fresh blueberries. However, some breweries use fruit that has been processed and pasteurized. It often comes as a liquid that can be poured directly into a fermenter. It’s a lot less work than chopping peaches, so why does Todd go through the extra effort to work with fresh, local ingredients? “Honestly, the reason is the beer tastes better. Like with local food in general, it’s not a trend. At the end of the day, it just makes a better product. You can’t argue with that. All you have to do is taste it and then it’s easy to see why,” says Boera. Fonta Flora recently opened a new production facility and taproom at a former dairy—the historic Whippoorwill Farm. They hope to turn it into a working educational farm with gardens and fruit groves, but Todd plans to maintain his relationships with farmers even if he’s able to source fruit from the land. Currently, Fonta Flora makes a beer with local blueberries and elderberries called “Need a Hug.” Many of the blueberries come from Perry’s Berry’s, a blueberry farm about nine miles away from the new production facility. Owners Debbie and Terry Perry got to know Boera at the brewery’s first location in downtown Morganton. “We were actually friends with Fonta Flora, and Todd knew that we had berries,” he remembers. Connecting with the Perry family was more than a business agreement for Boera. “I’m not just looking at it as a commodity, but looking at it as a relationship. 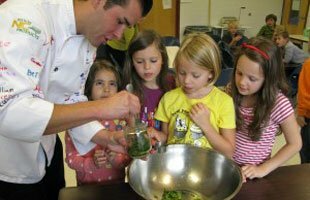 We have a handful of partners at this point where we rely on each other—me for the ingredients and them monetarily,” he says. Local ingredients have been important to Fonta Flora since the beginning, and now the malt in all of their beers is from the Southeast. “From day one, our mission has been to brew these beers with local ingredients—often as much as 100 percent local ingredients in many of the beers that we make,” Boera says. The farmers get to enjoy the beer, too. Some beers take a year or more to age, so by the following summer, Terry Perry is eager to taste beer made with his blueberries. “One of the requirements when you come to pick up your blueberries is you have to bring me a little mini cooler so we can test the product,” he says with a laugh.